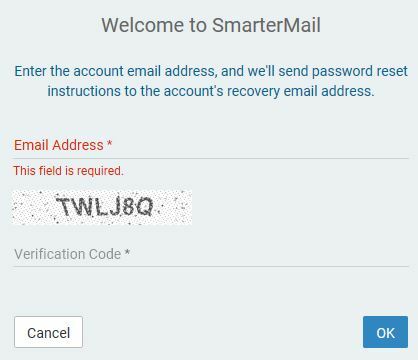 Resetting a lost or forgotten Smartermail password is simple if you have previously set up a recovery email address. Have you lost or forgotten your SmarterMail password? Open your browser to your webmail login screen. 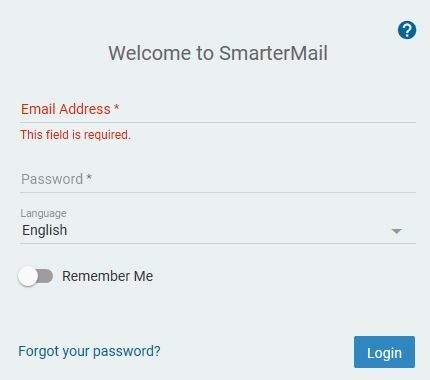 Enter your SmarterMail email address for which you have lost or forgotten the password. Enter the captcha text in the box below as shown on your screen and click OK.
A password reset email will be sent to your recovery email address. Open your backup email account and follow the instructions in the reset email message.